Douglas W. Sanderson is a NYS licensed Funeral Director and a native of Westfield, NY. He is the son of James and Shirley (Leach) Sanderson and the husband of Donna (Winslow) Sanderson. Doug, as he is known, is a 1983 graduate of Westfield Academy and Central School where he was active in athletics and music. He continued his education at the American Academy-McAllister Institute of Funeral Service where he received his Associate Degree in Occupational Studies-Funeral Directing. Doug is no stranger to Funeral Service; he has worked in the funeral service in various capacities since he was 16 years old and works for several Funeral Homes in Chautauqua County and is the current Funeral Director and Licensed Manager of the MORSE Funeral Home in Brocton, NY following the retirement of Gerald Newman. He has always had a passion for Funeral Service and for helping others in their time of need. Doug is a Member of the Chautauqua County Funeral Directors Association, the Loyal Order of Moose Lodge #118 of Westfield and the Westfield Fireman's Exempt Association. He is a former member and officer of the Fire Department of Westfield and it's Rescue Squad, where he served several years as Captain. In what little spare time he has, Doug enjoys spending time with his 3 children and his several grandchildren. Sue was raised and grew up in Roctester, New York and while attending RIT met and married Kenneth Merle. They moved to Brocton in 1968 upon purchasing the Morse Funeral Home. There they raised six children. While assisting her husband in the Funeral Home business , she continued her education and received her Bachelor's degree in Sociology and minor in Psychology from SUNY Fredonia in Fredonia, New York. Then in 1995 she also received her Associate Degree in Nursing from Jamestown Community College becoming a Licenced Regisered Nurse. She then was employed for many years in the Dunkirk City School District as their High School Nurse while continuing to assist at the Funeral Home. Upon Ken's untimely death in 2011 Sue made the decision to keep the business open for the local Community and was able to do so only with the fine and dedicated assistance of many of those in the funeral business whose help has been crucial in the maintenance of the high quality of service. this funeral home has become known for. Fran was a graduate of Brocton Central School and served his country in the United States Air Force during the Korean Conflict. For many years Fran worked as The Brocton Village Clerk and Treasurer. He was also for many years the Chautauqua County Legislator representing the Village of Brocton over at the Legislature in Mayville, New York. He has been associated with the Morse Funeral Home for the past 15 years. Fran has been a well known and respected life long resident of Brocton where he made his home with his late wife Sheila and where together they raised their three children. Gary grew up in Brocton, New York and was a graduate of Brocton Central School. Upon graduating he went to work at the Fredonia Seed Co. in Fredonia, New York. Gary then joined the United Stated Marine Corps and served his country from 1971 to 1973. After his term of service , Gary returned to the Fredonia Seed Co. where he worked until 1988 after which he joined the staff at Purina of Dunkirk, New York working their until his retirement. While at Purina he and his family moved to Zainesville Ohio to the Purina Plant there for 10 years. Sense his retirement he has joined our staff at the Funeral Home. He resides in Brocton with his wife Julie and they are the parents of two daughters Tara and Stacey. Bill was a graduate from Mayville Central School in 1948 and served his country in the United States Army during the Korean Conflict. Bill worked at the Mayville Malted Milk Company of Mayville, New York and upon retirement from there worked for many years for the former Greens Flower Shop of Westfield, New York. During that time he began assisting at the Morse Funeral Home and has worked at the Funeral Home for the past 25 years. Bill grew up and resides in Mayville, New York with his wife Evelyn and they are the proud parents of two sons and one daughter. Jerry is a 1962 graduate of Dunkirk High School and a 1963 graduate of Simmons School of Embalming and Mortuary Science of Syracuse, New York.. In 1989 he graduated from SUNY Fredonia with a BS degree in Business Administration. Jerry was employed by the former Larson Memorial Chapel Inc. of Fredonia, New York as an Assistant Licenced Manager from 1965 to 1979. 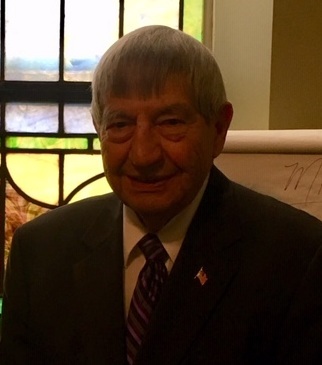 He has also been associated with his brother Dan, owner and operator of the Newman Funeral Home, Inc. of Dunkirk, New York and The Morse Funeral Home of Brocton, New York on a part time basis for many years. He resides with his wife Barb and they are the proud parents of one daughter Kim. After many years of excellent and outstanding service, Jerry entered into his well deserved retirement in June of 2018.